Kings Heath benefits from a vibrant High Street and boasts branches of national stores in addition to an abundance of local independent retailers. At the heart of Kings Heath on the cross roads with Vicarage Road is an attractive public square which hosts the monthly Farmers Market and other events. For further details visit www.kingsheathfarmersmarket.org. 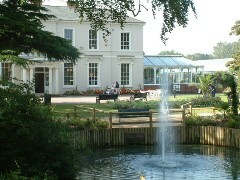 Kings Heath is also home to two public parks; Kings Heath Park and Highbury Park. Major roads in the area provide excellent links to the motorway network and bus routes offer public transport services to the City and beyond. If you are a homeowner looking for an estate agency in Kings Heath we are a prominent local independent firm and would be delighted to advise you on your forthcoming sale. Alternatively if you own a property which you wish to rent out and are looking for a letting agency in Kings Heath, we are one of the areas longest established lettings agents with a professional property management service. Search our database of properties for sale and rent in Kings Heath.